 The telephone, data, video and audio section from Electricals 24/7 is split into three categories for customers! 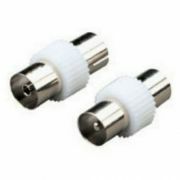 The first category is the affordable audio accessories available online. 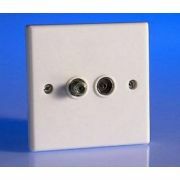 In this section customers will find products from under £1, including junction boxes, master sockets, extension leads and much more! 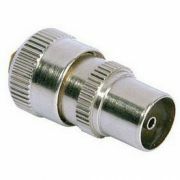 Cat5 & Cat6 accessories make up the second category in the section. 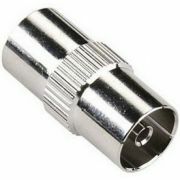 These accessories are appropriate for Cat 5 & 6 cable, with products like socket doubles, RJ45 connectors and more. The last category in the section is the TV & Satellite accessories range. 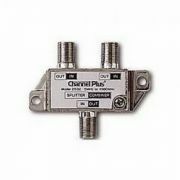 Everything from signal amplifier's to fly leads are available in this section from affordable prices. 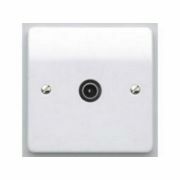 In this category you'll find our range of Cat5 and Cat6 cable accessories. 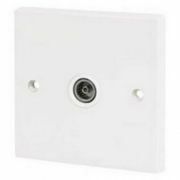 From phone socket connectors, patch leads and network cable plugs, the sort of common requirements for telephone or computer installations - through to phone socket doublers, voice modules, and RJ45 connectors - we stock everything required for your telephone and data installations. We offer a cheap £2.95 +VAT delivery rate for small orders; while orders above £49 are provided with Free Delivery - so take advantage when placing your order online today. Remember that we also provide a minimum one year guarantee on all products ordered online! 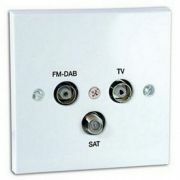 Below is our range of TV accessories and Satellite accessories. 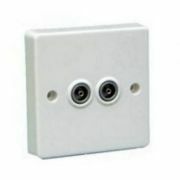 From replacement Scart leads, network cables and socket adaptors, through to TV signal amplifiers; we offer an extensive range to ensure your television setup and signal is as it should be. 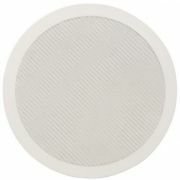 Aerial Signal amplifiers are becoming more and more commonplace in homes these days as signal is not always as good as it should be, especially for those living outside of busy cities or towns. 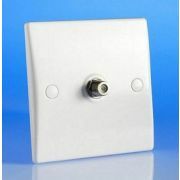 We therefore stock a range of TV signal boosters which are available in 1-way to 8-way versions. Remember that we offer a minimum one-year warranty on all products purchased online; so take advantage and place your order today!